For the wind vane direction, it seems a bit more complicated. Yes, using AD pin 11 for batt currency, sacrificing the current reading for the benefit of getting wind direction. Looks like you have to power it with 5v but you cant put more than 3.3v into the pin so you will need a voltage divider on the output. Where to get this voltage divider? any idea ? This caculation seems right, as you say hard to tell without something to compare to. Where to get this voltage divider ? any idea ? But re-reading it maybe I didn’t do such a good job, i think there is a hand drawn diagram in the tread somewhere. edit: i found the diagram, it doesn’t apply to this case. 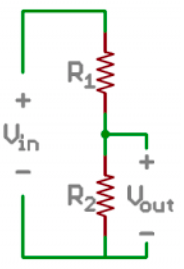 Sparkfun have a nice tutorial and happen to use 5v to 3.3v as a example. I read the wiki and I found the diagram and I got confused. At least I understand the problem can be solved. I will study that article (at first glance it looks a bit intimidating though). Even though the volt from running WNDVN_CAL ends up with WNDVN_DIR_V_MAX = 4.9V, the flight controller can read it correctly and gets 0, 90, 180, 270 degrees just were it should be. The wind direction is working. So I think it’s some kind of volt reading discrepancy depending on the ground used. I will not bother much with it. Next, I finally received the Bourn unit and that also works. Unfortunately I got the product 6630 S1D and not the 6630 S0D, this means my unit do not continuously turn around but stops after 360 degrees. Anyway it does work fine with same R1 and R2 setup as the other unit. However, it really need a lot of force to turn it around. And to open it to ‘degrease it’ seems very difficult to me without breaking the housing. Unless anyone ask me, I will skip to get a new S0D version unit, since i will still need to ‘de grease’ that to make it work. I do will try if there is a need though. Now will try install the Hall non contact sensor in the wind vane housing. Yesterday my independent reference, a little handheld anemometer, arrived and I tested it today to compare readings. I used a hairdryer to create different wind speeds. 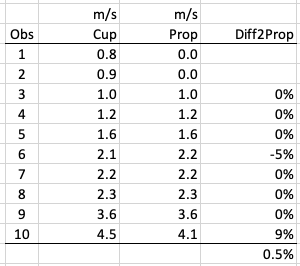 The results verifies that my Cups as well as the RPM factor I used are all okay. Less than 1% difference, if omitting the low wind speeds the propeller based handheld anemometer could not pick up. Unfortunately after waiting long time for delivery then I killed one of my rfd900+ telemetry/ppm units with applying 12volts by clumsiness. at the moment I only have a Bluetooth link for telemetry so I want to complete the build before taking it out to the lake. So still need wait another week. The Hall type wind vane is now installed in the housing. It was easy just using a drill two screws and hot glue. The housing is easily attachable and detachable to the boat for transportation. I have a MicroSD board and was thinking to add it onboard for logging ete. Peter, you pointed me to the hw definition file already, but it’s difficult for me to understand it. The manual say " * RevoMini’s OPLink port can be used for external SPI periphereals connection". Buy it seem to require compiling custom firmware based on changes to hwdef file. I am also looking to add one more analog pin (for lipo current sensor). looks like the SPI bus is setup for the SD card by default. I’m not sure how to hook it up, i think there is a thread on here somewhere with more information, or on RC-Groups. I think your out of luck for another analog pin though unfortunately. Current is not so important on a sailboat, its not like your going to be using lots. I think your only other option is a different flight controller. Okay. Thank you. Will research it more. Hi all, my team and I are undergraduates at UC Davis, and we’re working on our senior design project, which involves assembling an autonomous control system for a model Laser class sailboat. We purchased our first Pixhawk (CubeBlack) recently, and, after installing Mission Planner and following the instructions here, we’re wondering what the next steps are exactly. For example, is the firmware discussed during the “Initial Setup” portion of the aforementioned tutorial all we need to upload to Mission Planner prior to testing? We found this directory as well and are wondering what relevance these files have to our needs. None of us are familiar with Ardupilot/Ardurover, Mission Planner, or Pixhawk; however, we are very eager to learn and would be very happy to share the results of our project upon completion this June. the first thing to do is to read through the setup wiki. Unless you want to use a ‘cups type’ anemometer you will be fine running the stable release. This is what you will get when installing rover with mission planner. This is an awesome find! I’ve been using ArduPilot/Pixhawk for planes for a couple of years now. However, recently I’ve decided to take on a new task. I’d like to make a fully autonomous and wind/solar powered sailboat that can travel anywhere in the world. Did you guys notice if the sailboat used less power to operate the sails than it would a constant propeller? Hi Pete, thank you for the prompt response. We’ve completed the instructions in the pages you’d mentioned; however, the anemometer we currently have is a cups-type. There’s no need to use this anemometer specifically, however, and we’d be interested in learning what anemometer you and others recommend. of course, sail is much more efficient than propeller. I easily get several hours out of a 3s 2200 mah pack. For long endurance the key thing is reliability, there is the microtransat where boat sail across the Atlantic autonomously. for a cups type anamomiter you will have to be on the latest release. The wiki is update with everything that has been tried so far i think, this is still quite new. 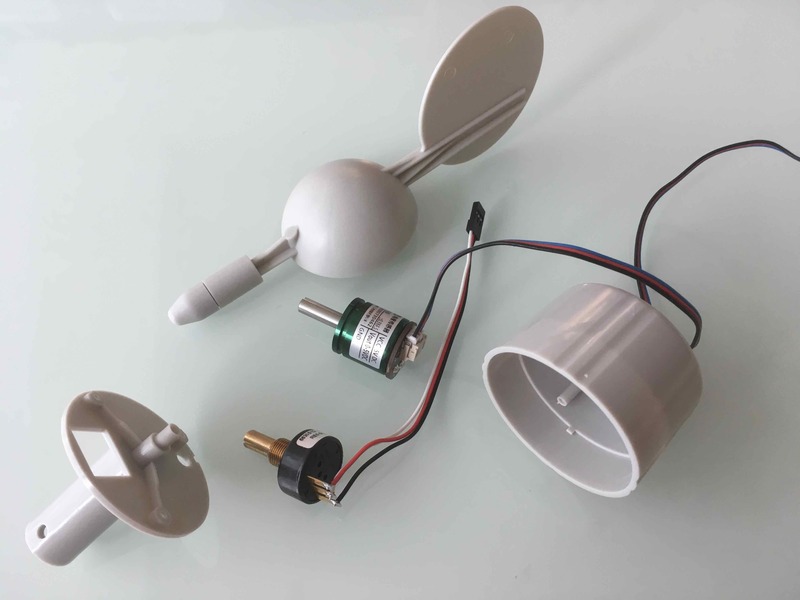 The key thing for selecting a ‘cups’ type anemometer is to make sure the manufacture makes the constant available so you can calculate the wind speed from rpm. I see, well we tried uploading the latest version of the firmware to our CubeBlack and ran into an error (Mission Planner said the firmware was incompatible for some reason). We loaded the stable version but are unsure whether it will work with our anemometer. 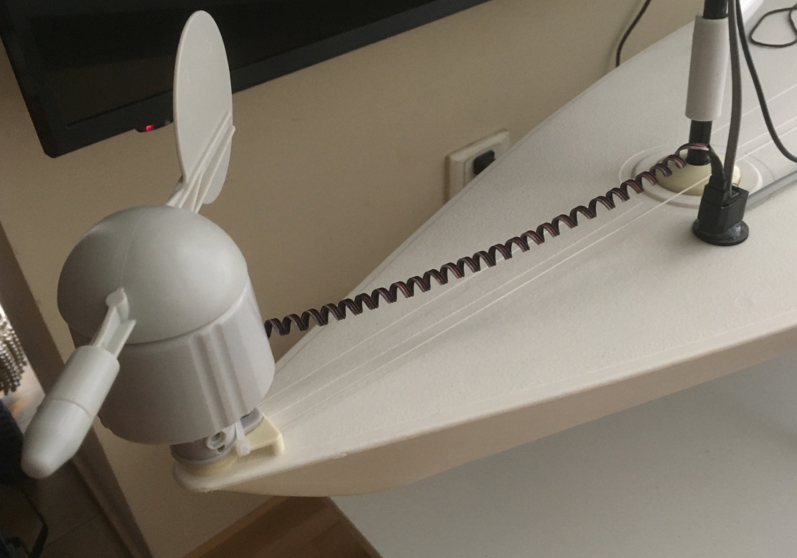 Is there another type of anemometer besides a cup anemometer that would suit our needs? Also, is it mandatory to have an ESC to run the motors or can we just plug the motors directly into the Pixhawk? Is there another type of anemometer besides a cup anemometer that would suit our needs? Also, is it mandatory to have an ESC to run the motors or can we just plug the motors directly into the Pixhawk? Understood, and thank you for your assistance so far. ground, wind speed (digital), wind direction (analog), and power. 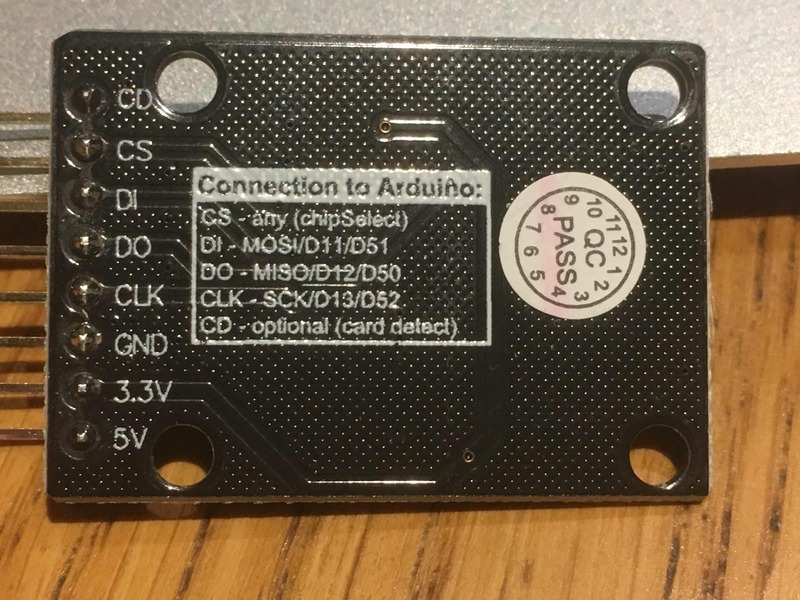 The following document explains how to connect with an Arduino, but we are having trouble figuring out how to connect to the ADC input on the Pixhawk. 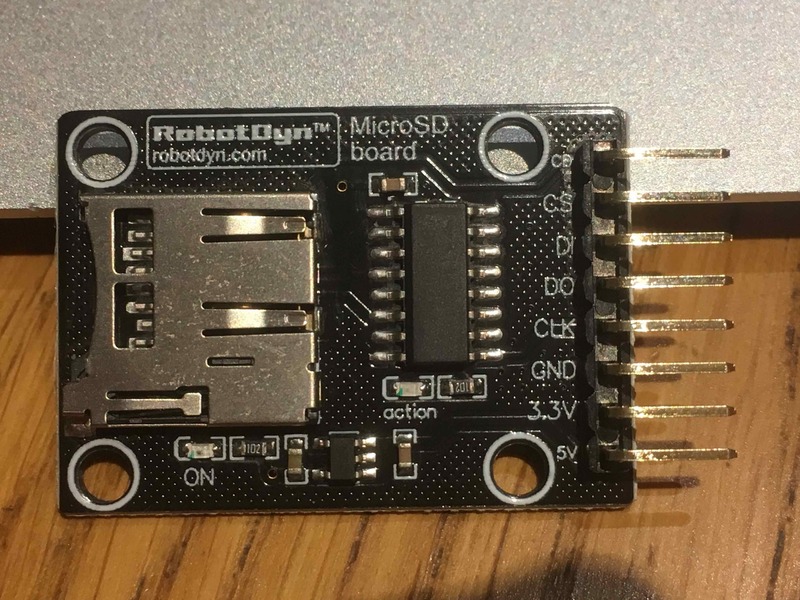 We were thinking of connecting the wind direction analog output along with power and ground to the ADC port, but are unsure of how to also connect the digital wind speed output as well. Again, any help would be greatly appreciated!